As a child, we used to love keeping track of our own growth. We used get excited when we see how we’re a few inches taller from a month ago. We are our own growth charts. 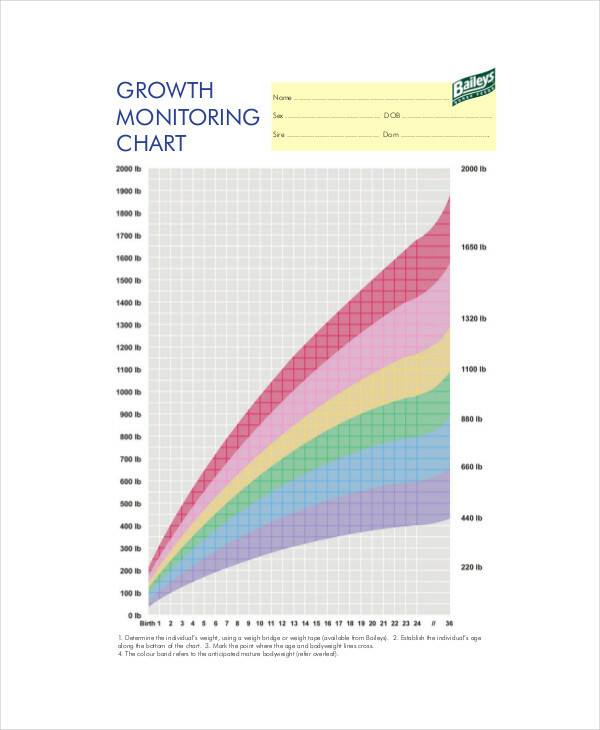 But what is a growth chart? Before we delve into the interesting details about growth charts, let us first define what a chart in PDF is. A chart, by definition, is a document which includes information about certain subjects typically in the form of a graph, table, or diagram. Sample Charts, in general, use visual elements to share such information usually to a specific audience. 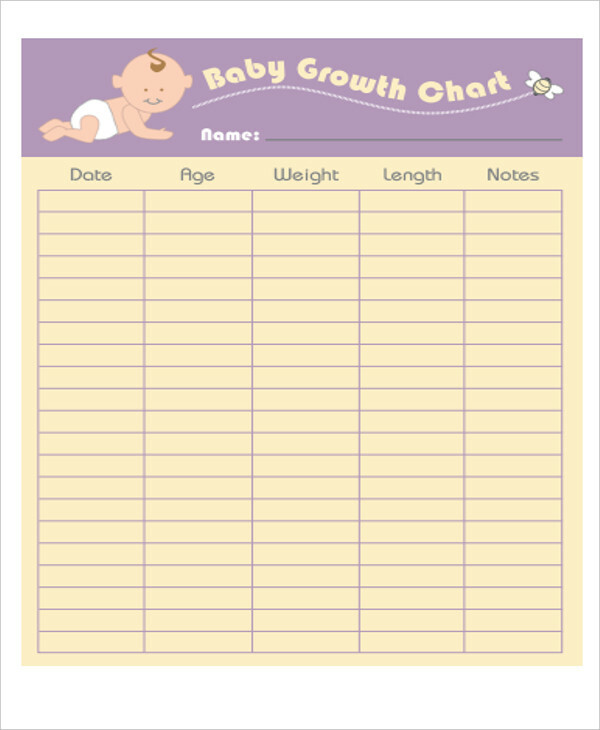 What Is a Growth Chart? 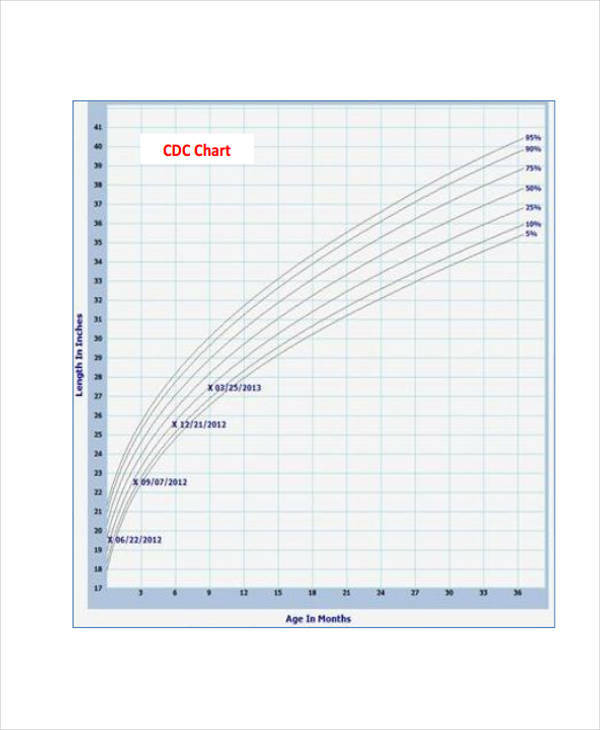 A growth chart is a chart which is commonly used by pediatricians (medical professionals specializing in children), and other health care professionals in monitoring a child’s growth over a specified period of time. Growth charts are typically created to examine whether the growth of children over a certain amount of time is normal or not. A typical growth chart includes the measurements of a child’s height and weight with relevance to time (refer to chart examples found in this source). 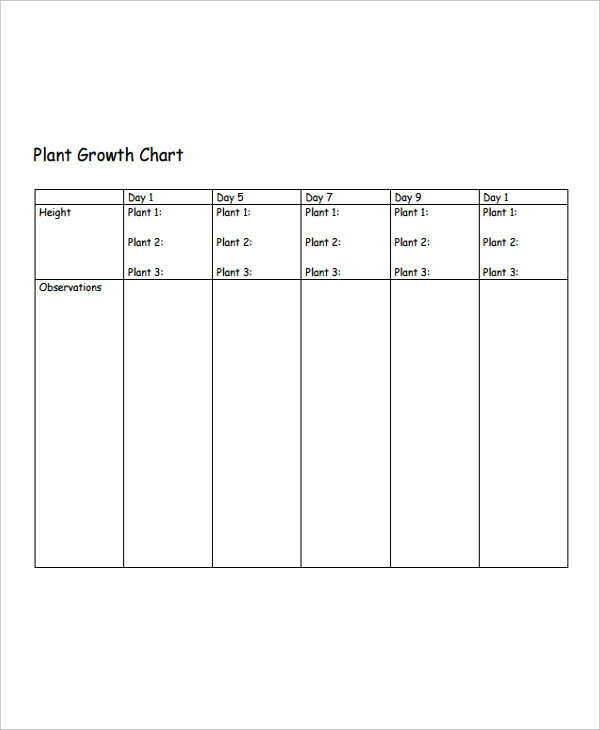 A growth chart may also be used for other things, such as keeping track of plant growth (i.e., plant growth chart). 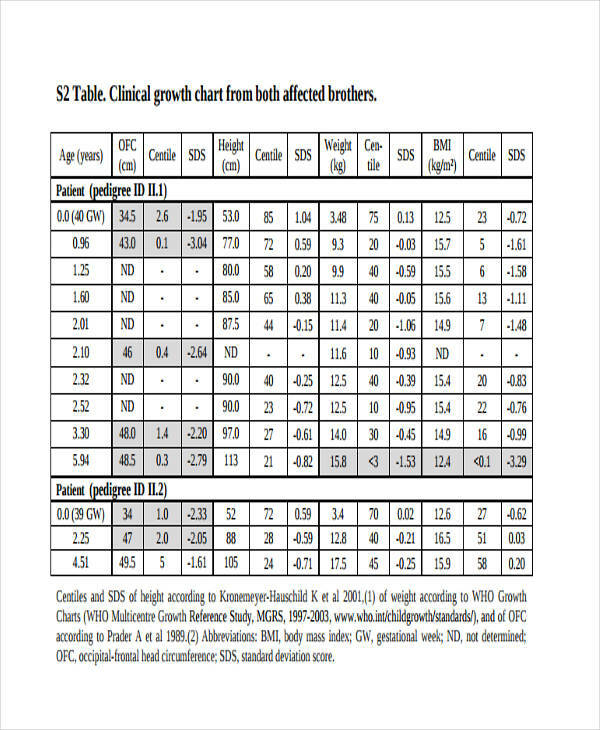 Health care providers, especially pediatricians use growth charts to observe the growth of children among other factors which may have affected their growth over time. Such factors include genetics, nutrition, physical activity, internal and external environment, among other things. In doing so, they will be able to identify if there are any existing health problems affecting the growth of a child, and how it affects the child’s growth in general so they may be able to address such problems immediately. Aside from a growth chart, health care providers also use other charts to monitor the growth of a child, such as a height and weight chart. If you’re a parent or a guardian, one of your top priorities is to ensure that your child is growing healthily. Which is why many parents or guardians rely on growth charts when monitoring the growth of a child. There are many ways to interpret different size charts. However, the most common growth chart uses grids and lines to indicate child growth over time. 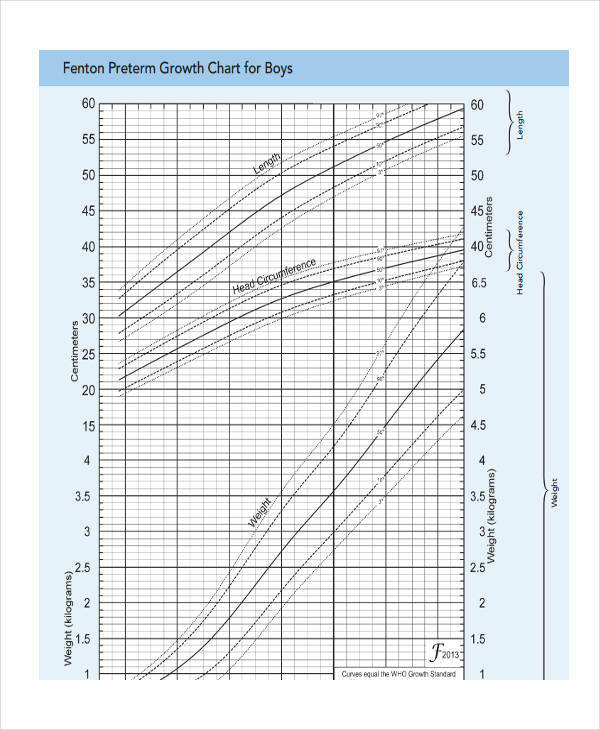 In a growth chart, the growth curve represents the length of your child (height) over his/her age (time). A growth curve serves as the basis to identify if the growth of a child is ideal for his/her age. Doctors compare your child’s growth to those of other children’s (usually belonging to the same age group) to determine if your child is growing healthily. Growth curves may experience significant changes which is then interpreted to identify which factor is causing such change. Though a change in the growth curve may not always mean that there is a problem with your child’s growth, it is always best to seek the advice of a professional regarding such matters, especially if you are unsure of how to interpret the changes in your child’s growth chart.